At the age of 29, Hayley Macphail is finally living the dream. Despite knowing she wanted to be an electrician for most of her adult life, Hayley didn’t really know how to make it a reality – or even if it was a possibility for a young woman, even in modern New Zealand. But finally, after stints as a legal secretary and a property manager, both of which she decided weren’t the right career for her, and some time living overseas, Hayley finally returned home and decided to bite the bullet, completing her electrical pre-trades. 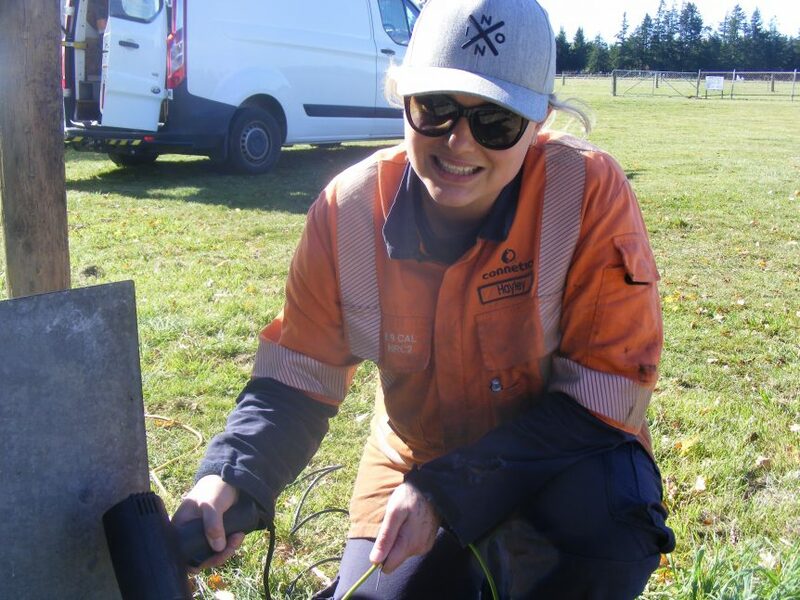 Now she is working as a trainee electrical fitter with Connetics in Christchurch and loving it. Her delayed start to the career she loves has left Hayley passionate about making sure other young women know that finding a trade is absolutely an option for them when it comes to choosing a career. Hayley believes there are plenty of employers ready and willing to take on young women, it’s just a matter of finding the right women and ensuring they get the right training. Hayley herself found out there were more options open to her, once she had completed her pre-trades and started digging a little deeper. “I did start doing domestic electrical work, but it wasn’t the greatest for me. Then I started to look around for what the other options were and came across Connetics. I immediately thought it sounds like a great place to work because they were working on things like sub-stations. “It was all more mechanical and on a bit of a bigger scale.